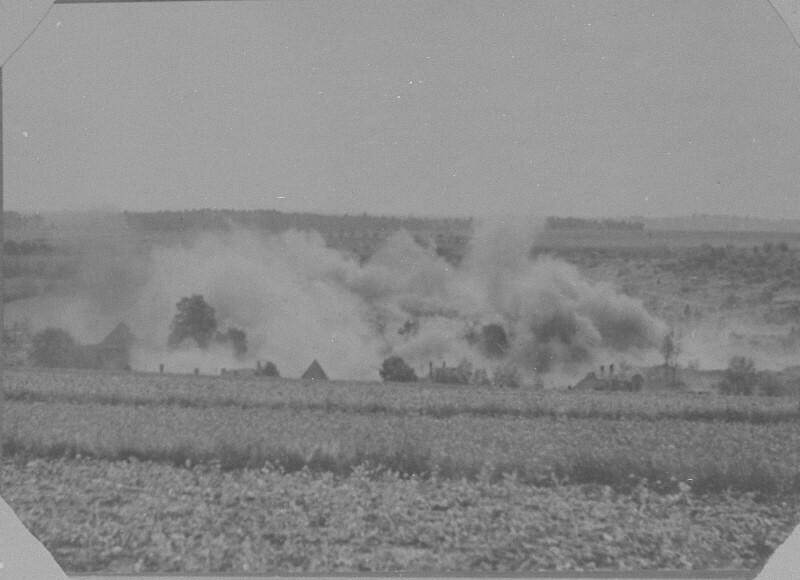 Lidice in smoke. The Nazis destroyed the Czech village in reprisal for the assassination by Czech resistance fighters of Reinhard Heydrich. Czechoslovakia, June 1942.